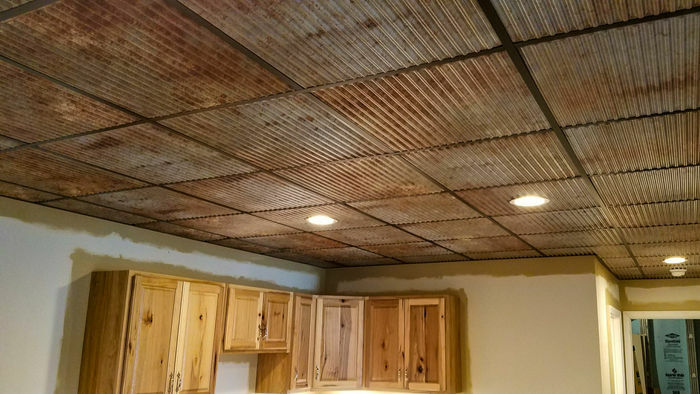 The Old Tin Roof tile is a unique addition to any rustic interior. 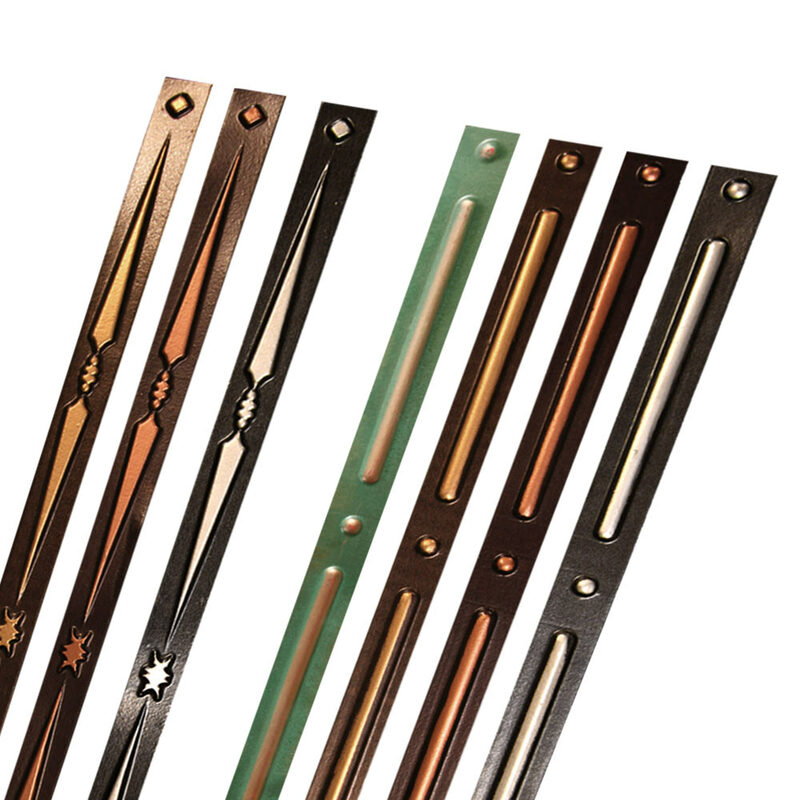 Designed for use in grid applications, you’ll find them very easy to install. At .030” thick, it is twice as thick as our other series of tiles. Our Legacy Grid Strips are the perfect complementary piece to add to ensure your drop grid matches the ceiling tiles. 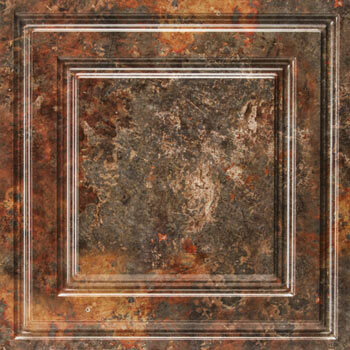 If you love distressed, industrial finishes, you’ll love this new favorite tile. This is a directional ceiling tile - to avoid odd pattern behavior, make sure to install them in the same direction. 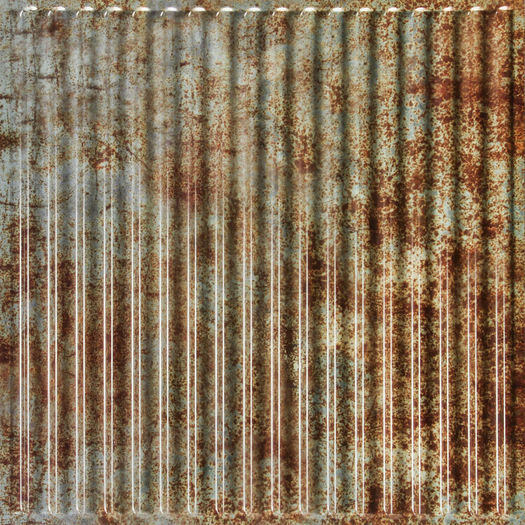 The print design varies greatly, so they will achieve a unique barn tin look on their own without having to rotate or flip them. Your ceiling will more than likely have partial tiles at the perimeter, which means you will have to cut your tiles to size for those areas. Since this tile recesses slightly at 1/8”, it will work well at the borders. 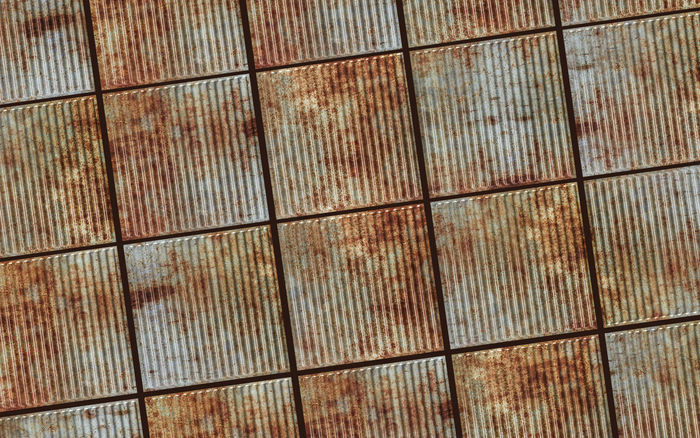 Sent for some samples and went with the Old Tin Roof. Ordered on a Wednesday received on that Friday and had a new kitchen ceiling on Saturday. Took about 6 hours to install and it looks great. Thanks! Looks Great - Love Them! AWESOME look nobody has seen before, LOVE IT! 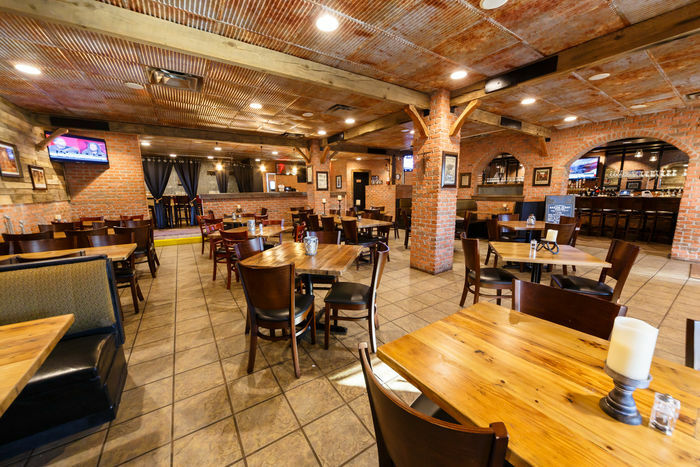 We used these tiles in the drop ceiling of our barndaminium and turned it into a masterpiece! Everyone who has seen it (10-15 people) asks where we found them and wants to use them somewhere. Alissa gave us the best customer service I have ever received from a phone order. We were in the middle of a big move during shipping and she came thru like a champ!! No one can believe these are PVC and not actually tin. They have to touch them to prove it. They look fantastic and really have added to the look of the space! We were very pleased with the service from the company. And extremely pleased with the product. All our friends love the look. Amazing detail, could not be happier! Totally love the detail of this tile. Simple to install and looks like the real deal. Created a rustic barnwood bathroom. It was the perfect accent to complete the room. Never thought something so simple would make such a great accent! Looks even better than I thought! I can't get over how great these tiles look installed! I alternated the directions of the grooves (like a checkerboard) and it really sets the tiles off. I also painted the grid supports black and it makes the tile colors pop! So easy to cut to size and install. They seem flimsy out of the carton but lay perfectly flat in the grid. A few of the cut ones wanted to raise up, so I just put the old tiles back down on top of them and problem solved. I talked to a real person they delivered a great product and on time. Love the tiles.